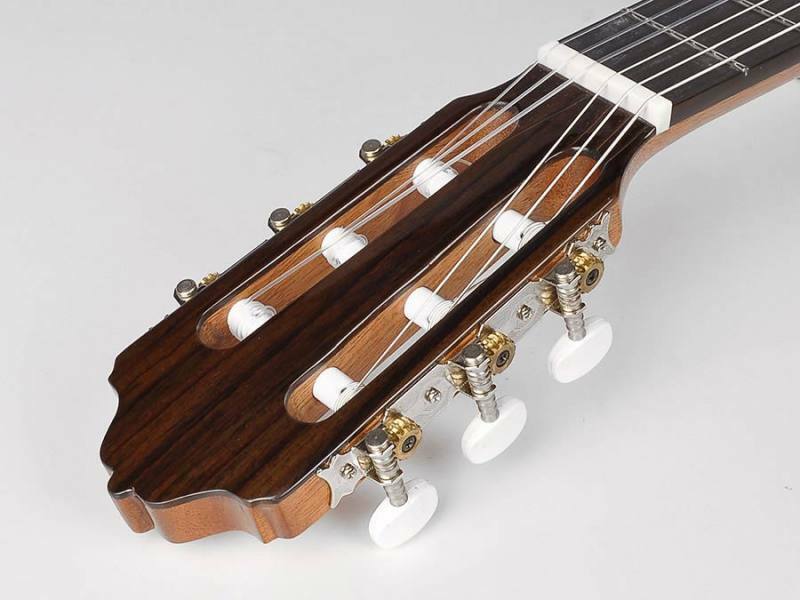 classic guitar 58cm scale length, solid cedar top, sapele, rosewood fb and bridge The 3ST58 is a classic guitar with shorter, 580 mm scale length, suited to young adults. Every Esteve guitar is handmade by the best guitar builders in Valencia, Spain. specs top wood: solid cedar back and sides wood: sapele fingerboard wood: sonokeling rosewood bridge wood: sonokeling rosewood neck wood: mahogany scale length: 580 mm neck joint: Spanish strings: d’Addario top nut width: 48 mm 12th fret neck width:64 mm string spacing bridge: 59 mm nut material: bone saddle material: bone upper bout width: 260 mm waist width: 215 mm lower bout width: 337 mm body length: 444 mm body depth: 98/88 mm body binding: single white wood finish: natural highgloss A WORLD OF TRADITION Since our foundation in 1957, the quality and attention to detail have been our reason for being, which together with the incorporation of new technologies and the work of our craftsmen have made Guitars ESTEVE a company of international renown. With highly valued among our clients and artists who come to our product philosophy and all the passion and make them feel good with his art. OUR VISION In guitars ESTEVE see our product as a reflection of our dedication and good work. We like our guitars speak of us with each of the notes that are torn between their strings. Attend a concert and see how the public feels the art through our instruments is the greatest achievement and satisfaction that we can feel. The corporate culture of effort and a job well done. 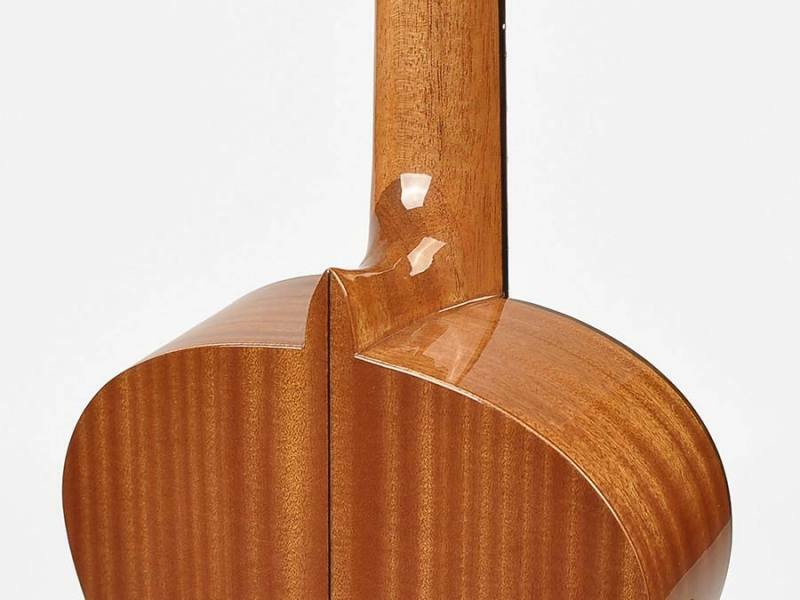 History In Valencia, a city located south of Europe and along the Mediterranean Sea is the most prestigious ESTEVE craft workshop SPANISH GUITAR. 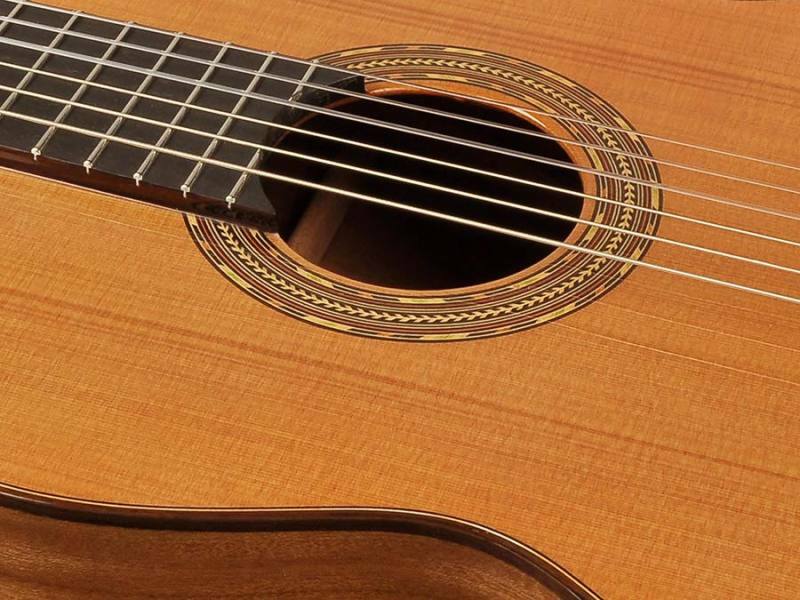 It was in 1957 when Francisco Esteve, Manuel Antonio Monfort Adalid and decided to create his first guitar workshop and begin their journey in the construction of this instrument. Later, Manuel Adalid son commits to boost ESTEVE name worldwide, incorporating new techniques in construction and design, adapting to the demands of the international market, but always keeping alive the spirit of traditional craftsmanship. The team of 52 craftsmen working in Esteve is its main asset. A group by vocation, years of experience and learning, love their work and enjoy every piece ending. Thanks to all this, ESTEVE guitars are known and appreciated throughout the world for its sound and excellent finish, by the noble materials they are made and for that rare combination of traditional craftsmanship and modern techniques used in its construction . ESTEVE, a Spanish guitar with soul that gives inspiration and skill of its interpreters purity and charm of their sound. Today, we are proud to show through these images, the old traditional process that supports us.